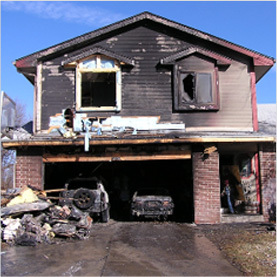 Has your home been damaged by fire, water, smoke, mold, or a recent storm? If you’re faced with an emergency, give Rapid Restoration a call! We are available 24/7 to help you with any home disaster. Not an emergency but still need your home restored? Fill out this form to get an estimate from us. 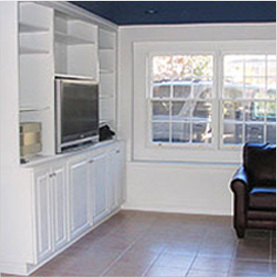 We provide help in Minneapolis, St. Paul, Roseville, and the surrounding areas. Rapid helped me with a water damage repair in the basement of a home that we were buying last summer. They responded quickly, got the job done, and sent all the information to my mortgage company for me. I would highly recommend Rapid Restoration if you are in need of help in your home or place of business. The technicians and office staff are very friendly and have great communication throughout the process. 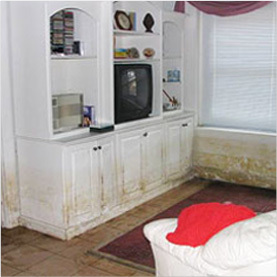 I have been using Rapid Restoration for a few years now… We own 5 rental properties, and rapid restoration has helped us with water damage, carpet cleaning and deodorizing, plumbing issues, etc. I like them because they respond right away, and since I now have an established relationship with them, and have enough experience to trust their work, I feel more at peace when a crisis happens at one of my properties.They aren’t limited to just water issues, but fire damage, mold damage, storm damage, too. Dear Rapid Restoration / DKI Management. I wanted to send a letter of recognition regarding the exceptional experience I had working with your company. I have never contracted with a construction firm that was so responsive, communicative, prepared and approachable. From the estimation process with Kerry, through to the final touches, the project and process was very crisp and organized. The crew was amazing and everyone was conscientious of quality workmanship in every aspect of the project. I’d like to especially thank Pat, who was on site and available every day until the project was complete. I’d also like to thank Josh, Kalvin and Chad. These guys were amazing and put in a lot of time and effort to get things done and done well. Having to deal with a major water damage situation that I “inherited”, it was painful for me as the homeowner. However, I felt that this crew did everything they could to give me the best quality solution without having to replace every board and nail which would have been a greater cost to me. Please know that I will be recommending Rapid Restoration/DKI whenever I have an opportunity to do so. Finally, although I hope I will never need to, your company would be my absolute first choice should I have a restoration project in the future. Rapid Restoration helped me with a biohazard situation. One of my best friends took his life with a shotgun and I needed a company to come out and take care of the aftermath. I sent out several emails but Rapid Restoration was the only company to respond back to me. They called me within a few minutes and I was able to set up an appointment for the following morning. The best part is that they showed up ON TIME! Thanks to Rapid Restoration, my friend’s family was able to go inside the home and not be horrified. I give Rapid Restoration my highest recommendation! I’ve used Rapid Restoration DKI numerous times on my residence and a rental property that I own. I’ve always had courteous, professional treatment. They were very responsive to my requests and provided accurate, timely estimates. I was most impressed at how quickly they were able to respond to issue that required immediate attention so that damage did not reach other areas of the home. By definition, this company is responding to homeowners who are in dire straits, and yet I always felt like I was treated fairly and they provided a value service. 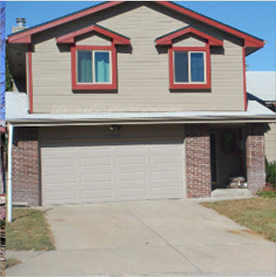 I have used Rapid Restoration multiple times on our home we live in as well as rental properties. They are the BEST! They are quick to respond, they handle all the insurance headaches, and do top notch work at a fair price. They check in regularly to make sure we are happy with the work and their crew is so friendly! I would highly recommend them! This company helped us out when we didn’t know where to turn. We had a sewer back up and there was raw sewage everywhere… A friend had said to call Rapid Restoration, so we did. And I am so glad we did. Not only were they at our house in about an hour, but they started the clean up right away – on a weekend night! They proceeded to tell us what the problem was, and what they were going to do to fix it. They were a great bunch of guys and the communicated very clearly to us throughout the whole process. I am very impressed with their workmanship. Having a sewer backup is one of the worse things that can happen in your house. I am so thankful there is still such a trustworthy and hardworking company you can contact to help out in such a predicament. Thank you!